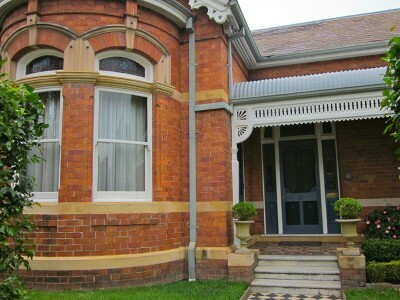 The finest Federation house in Glebe, preserved through use as an institution, and now a private home. At the corner of Bell Street is Montana (1892), a villa that addresses both Bell and Boyce Streets. Robert Durragh recalls this as the house that inspired Prof. Bernard Smith to coin the term ‘Federation’. For many years it was occupied by the Sydney Home Nursing Service, who made few changes, so the domed and stained glass central hall and bathroom, and the curved windows on the semicircular Boyce Street bay, are intact. Although the hedge makes it difficult to see from the street the house is actually symmetrical, apart from the elaborate moulded brick chimneys. 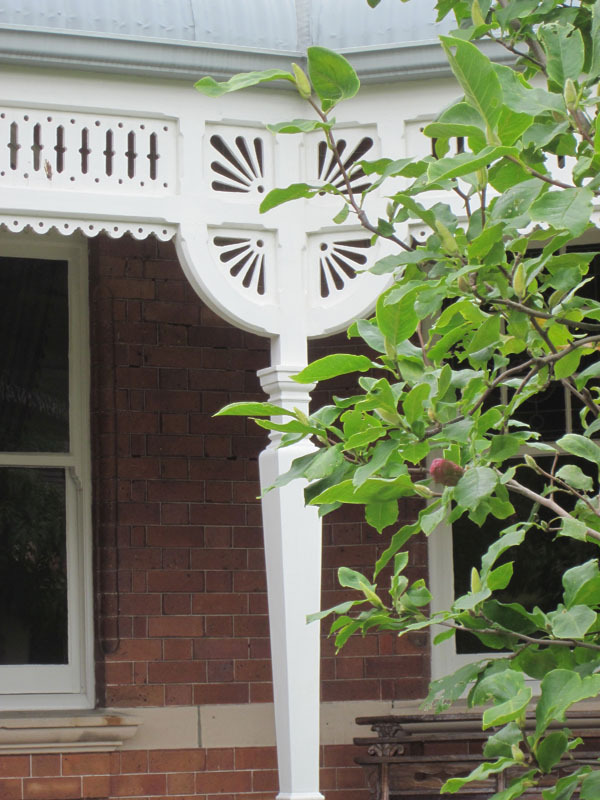 Note the continuous frieze of fretted timber above the verandah. Bernard and Kate Smith, The Architectural Character of Glebe, University Co-operative Bookshop, Sydney (1973), pp109-110.